At Cocoa Beach Fall Statewide College Retreat 2018 we discussed our theme in helping our college students and young adults dive even deeper in “Understanding God’s Will for All Aspects of our Lives” - how we can live freely and joyfully knowing God’s plan and purpose for our lives and how to share that purpose driven life with others. 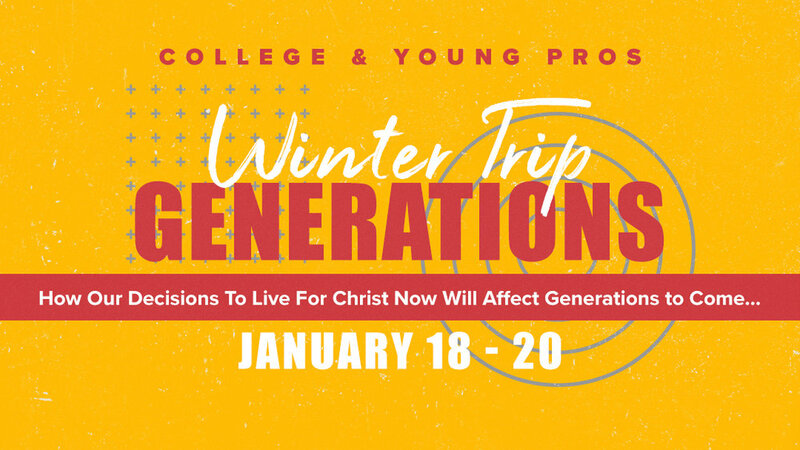 This time for St. Pete Beach retreat we will be doing “Generations: How Our Decisions To Live For Christ Now Will Affect Generations to Come…" And questions will be discussed at small group discussion time immediately following each speaker. The trip costs $100 in total per person (this includes registration fee, breakfast, and two nights at the hotel).